I have had a few requests to keep updating my new babies progress. 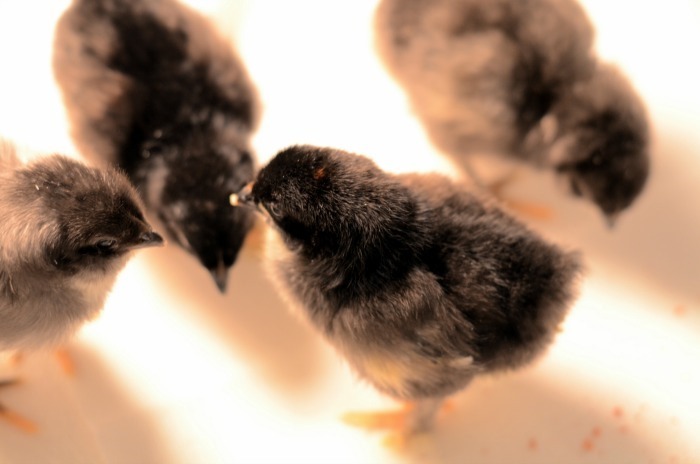 They are fun little gals (I am being optimistic, I want hens and not roos) and much quieter than my last batch of chicks. 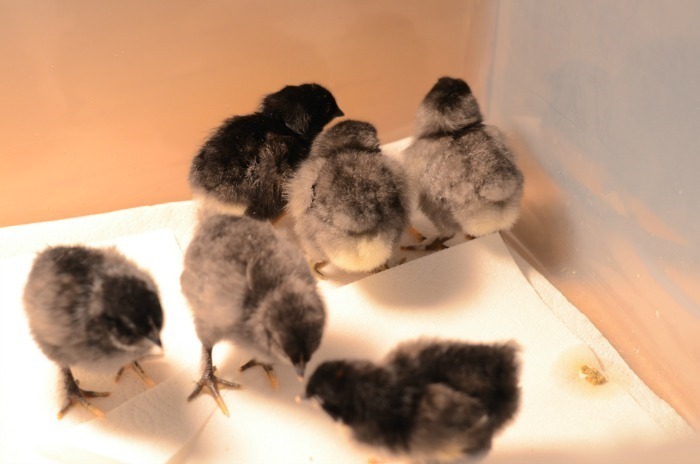 The last ones I hatched were all Black Copper Marans. 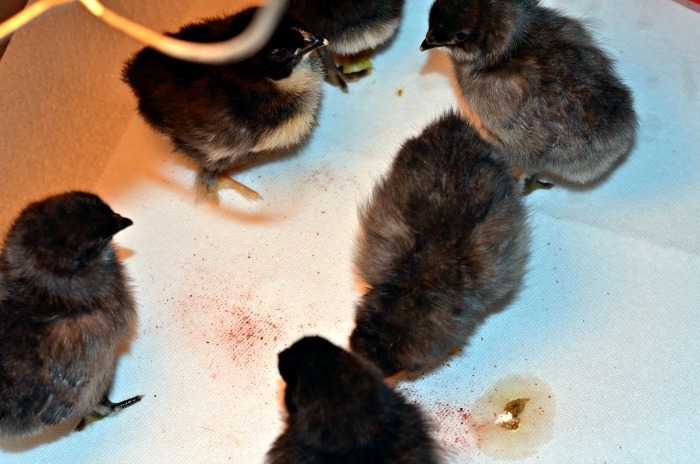 These little gals are a mix and hopefully will be Olive Eggers. The one to the far left is nearly all black. A couple are a lighter gray and one is a dark grey. And one is colored just like a BCM, even has a copper dot on her head. Sorry for the blown out photos, it is raining today and I had to use a flash. So far they all seem very healthy. Adorable! Wish I had chickens. I do enjoy my Ladies. I am so glad that our neighborhood allows them, many do not.